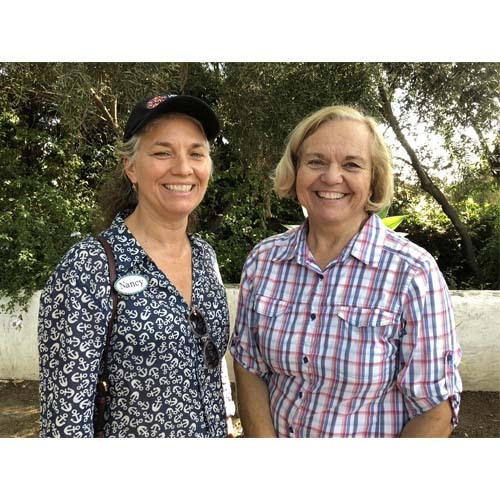 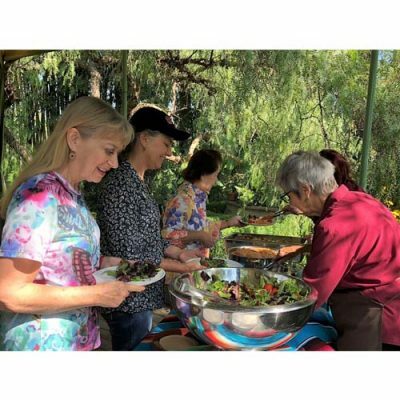 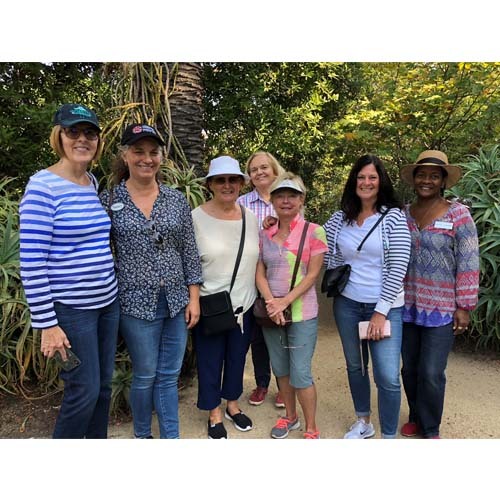 Weather was perfect, the tour was informative and interesting, and the food was fabulous – all in all it was another outstanding Trips & Tours excursion on Oct. 26. 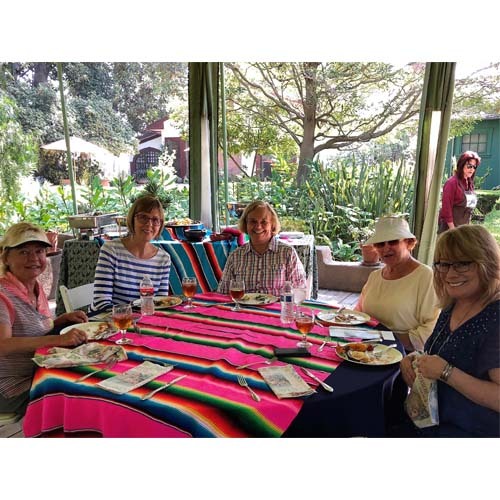 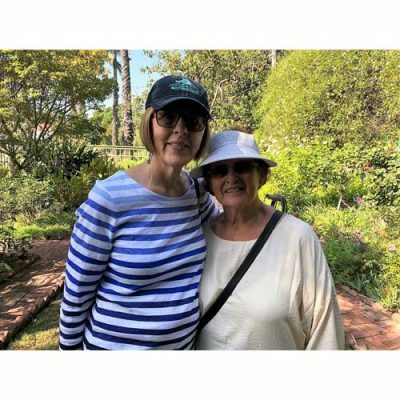 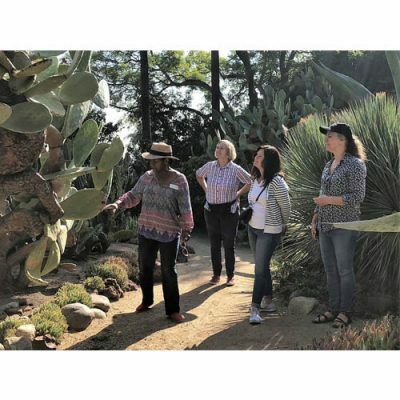 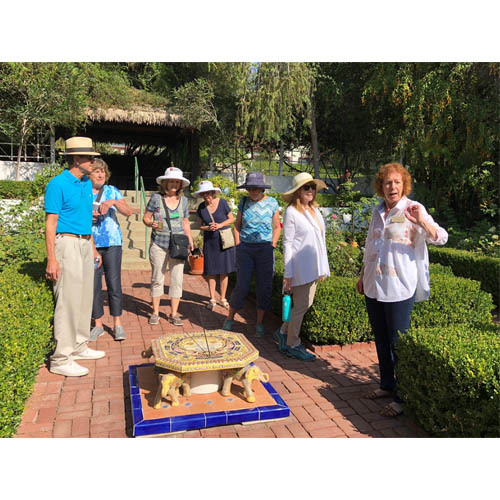 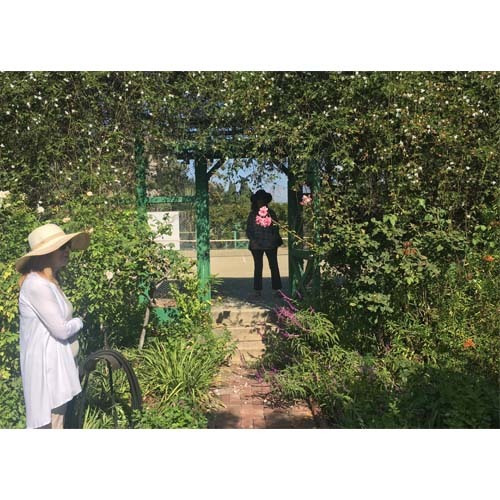 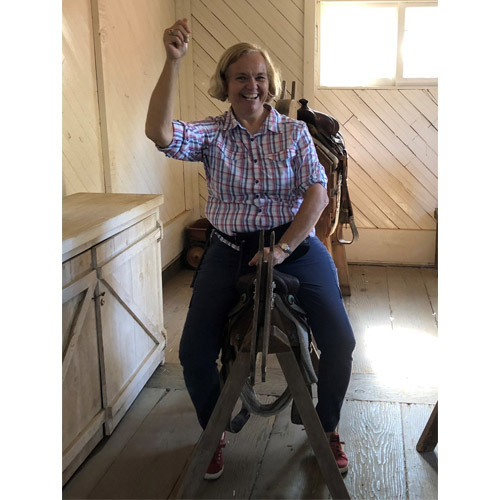 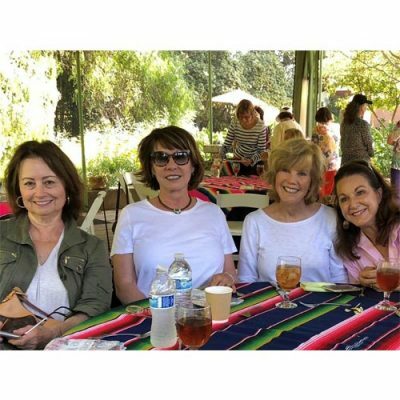 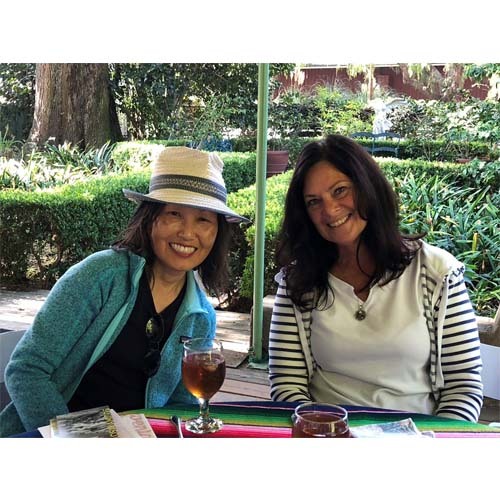 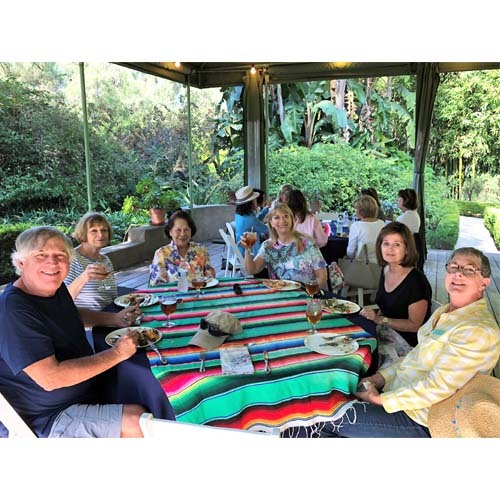 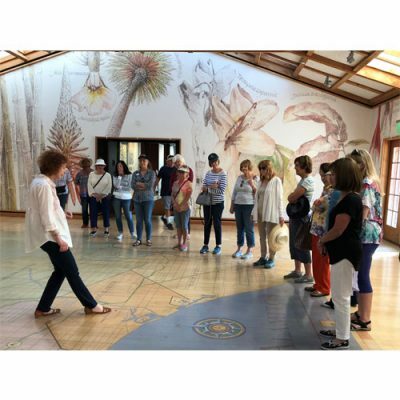 Tom Hensel and Synthia Scofield hit a home run when they arranged this wonderful tour of Rancho Los Alamitos in Long Beach, the historic home of the Bixby family. 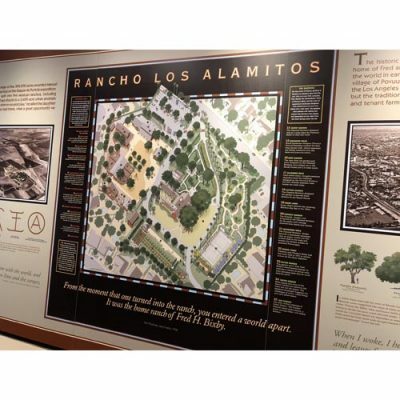 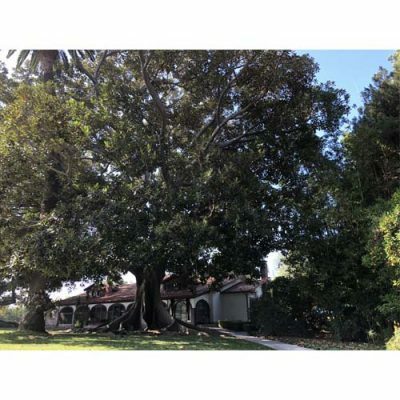 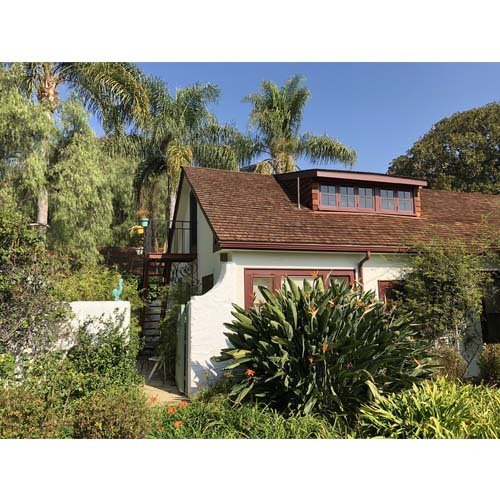 Originally a Spanish land grant, it is also known as the “Ranch of the Little Cottonwoods,” is a Long Beach City Landmark and is twice listed on the National Register of Historic Places. 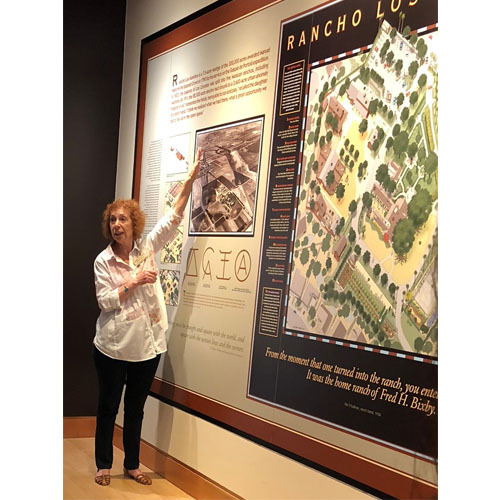 The Rancho has a continuous history that stretches back for more than 1,500 years and reflects the many people who have called it home – from the first people, the Tongva native American people, to the farmers of the mid-twentieth century. 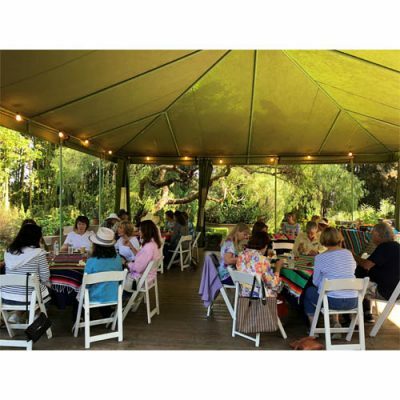 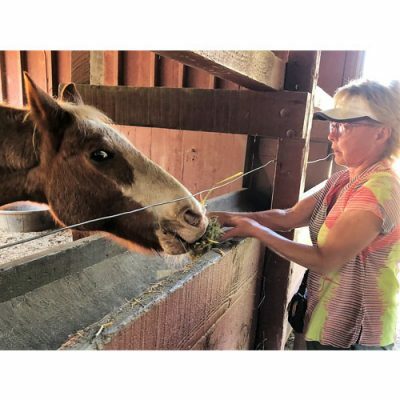 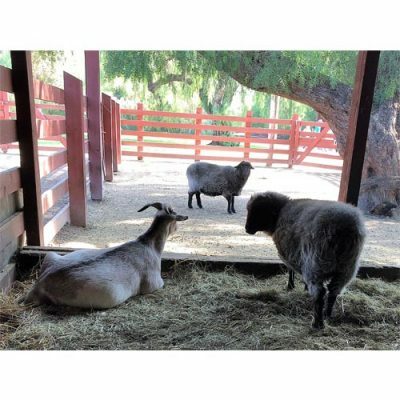 The 7 ½ -acre site includes four acres of nationally significant historic gardens, a ranch house (1790-1948) and restored barnyard of the early 20th century working ranch. 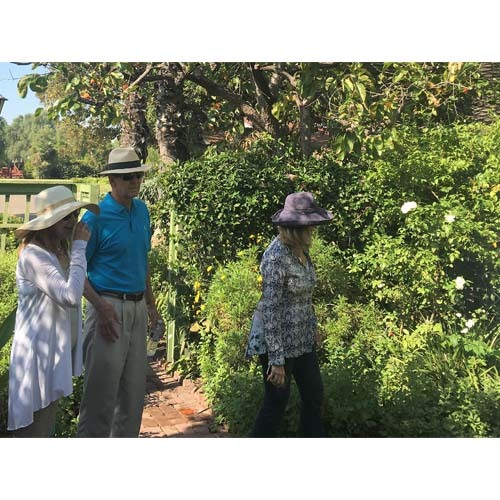 Twenty-six of us were divided into three groups to tour the house, the gardens and the barn and livestock areas. 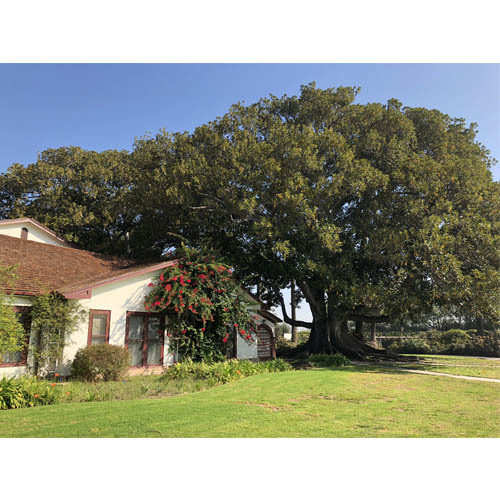 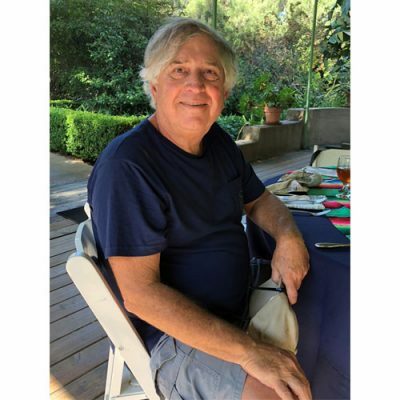 The house is a completely restored adobe brick structure with several additions to meet the needs of Mrs. Florence Bixby and her family. 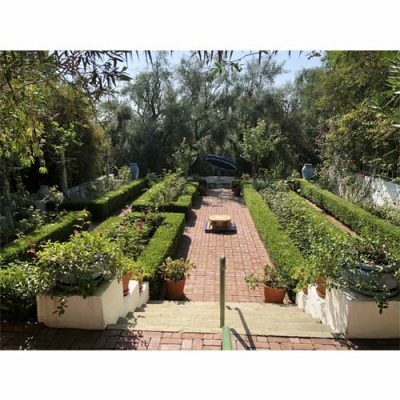 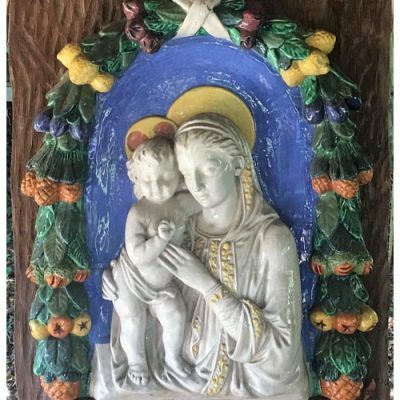 The existing gardens were created primarily between 1920 and 1936 and, while such notable designers as the Olmsted Brothers firm, Florence Yoch and Paul Howard were involved, the guiding influence was Florence Bixby. 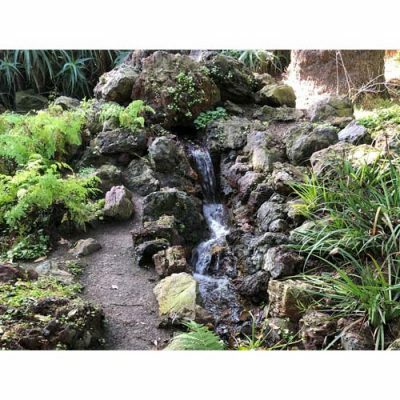 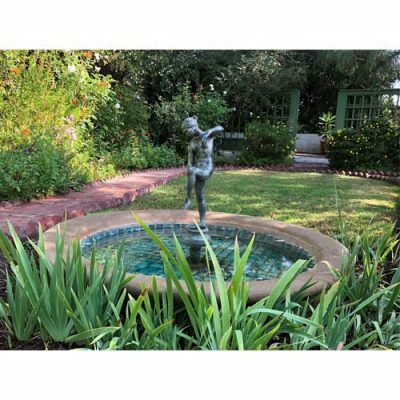 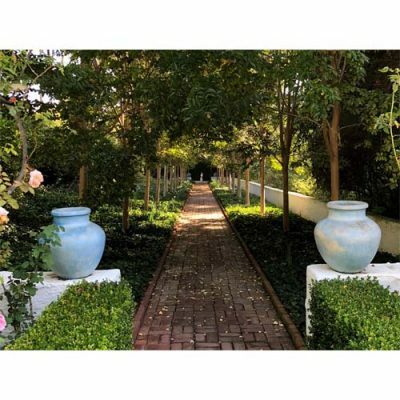 She created them in an age of flamboyance, but the gardens represent a remarkable personal aesthetic at ease with the relaxed dictates of outdoor living. Following our tour of the house and grounds, we had a delicious lunch of grilled veggies, chicken, beans and rice. 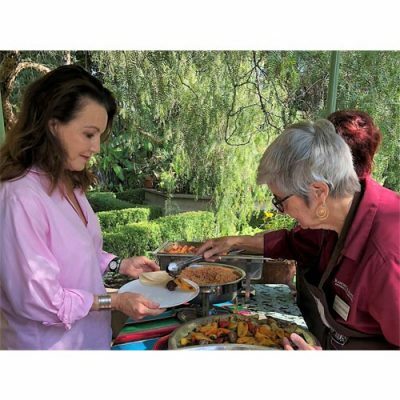 No one left hungry! Topping off the afternoon was a dose of retail therapy in the gift shop, where several members scooped up fabulous Halloween and garden items. Thank you, Tom and Synthia, for a terrific Trip & Tour!